The CMS installation team just completed another project. 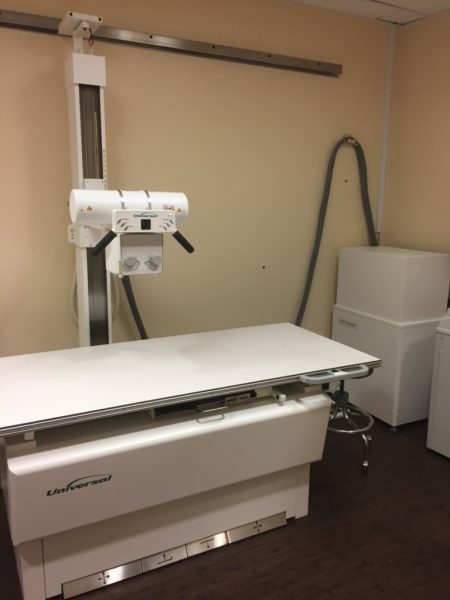 This orthopedic clinic in Virginia upgraded to a NEW Universal / Fuji package consisting of 40kW Anthem H/F generator, EV650 table, VS200 wallstand, Floor/wall tubestand and Fuji DEVO Wireless DR System. No more bulky heavy CR plates for the techs! Contact us today for a quote on your new system. 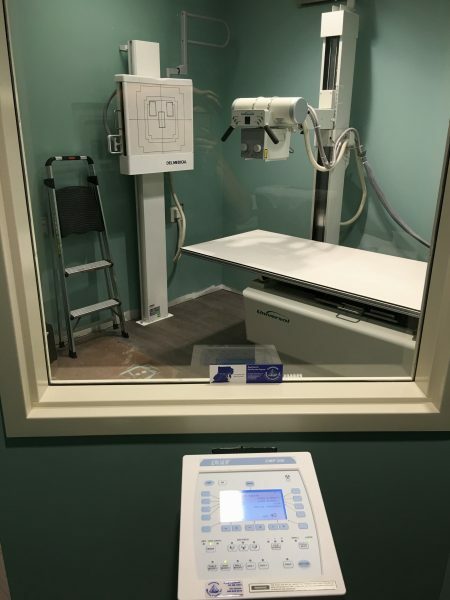 Chesapeake Medical Systems, Inc. installs a Summit Innovet veterinary radiographic system. Built to capture long-length digital images in a single exposure, the FDR D-EVO GL features Fujifilm’s breakthrough Virtual Grid image processing. Depending on the exam type and patient, FDR D-EVO GL with Virtual Grid can produce images with contrast and clarity comparable to exams performed with a physical grid while requiring as little as half the dose. 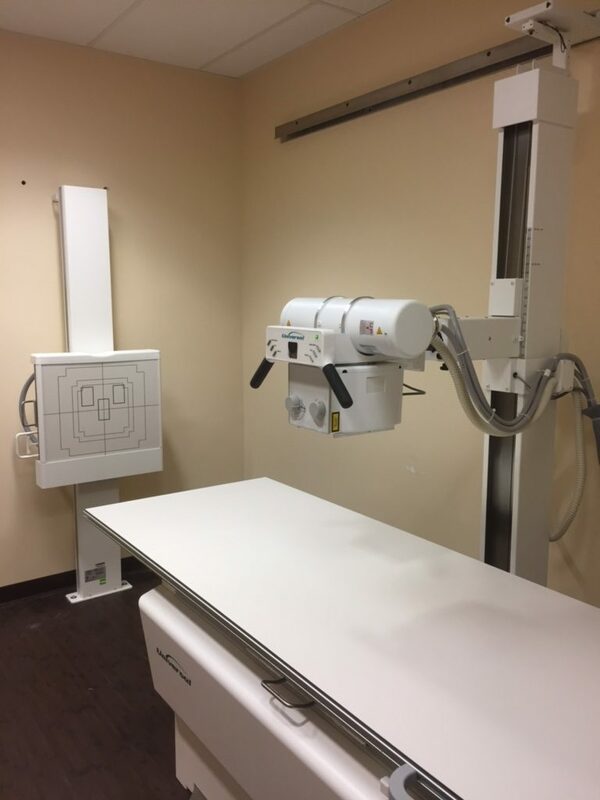 FDR D-EVO GL features a 17 x 49″ field of view; its wider format helps improve patient safety and lower dose with fewer repeats from anatomy cutoff. Compared to multiple exposure conventional long length DR imaging, GL’s single exposure improves processes of care and simplifies exam time to improve patient experiences. Long length imaging has been one of the last holdout areas in transitioning to DR due to CR’s single exposure acquisition; compared to CR the FDR D-EVO GL with Virtual Grid processing can lower dose and dramatically shorten time to acquire and display. Capture is instant and 34″ – 49″ images display in 18-24 sec., whereas with CR there is much added time for processing cassettes and imaging plates. Chesapeake Medical Systems, Inc. service engineer, Paul, swaps out a faulty X-Ray tube at an orthopedic site in Delaware. 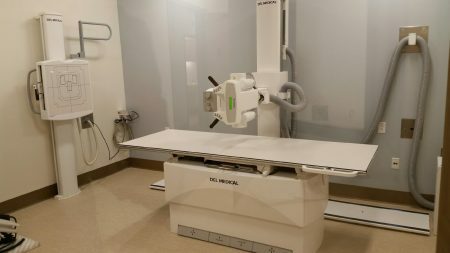 Even seen an X-Ray system installed in 5 minutes? CMS install team installing a Del Medical 50kW, Floor/Wall tubestand, EV650 table, VS200 wall stand at an Hospital Outpatient clinic in Maryland. Fujifilm has several limited-time financial offers available to help transition you from CR to DR. Please contact your Fujifilm Sales Representative. 2. 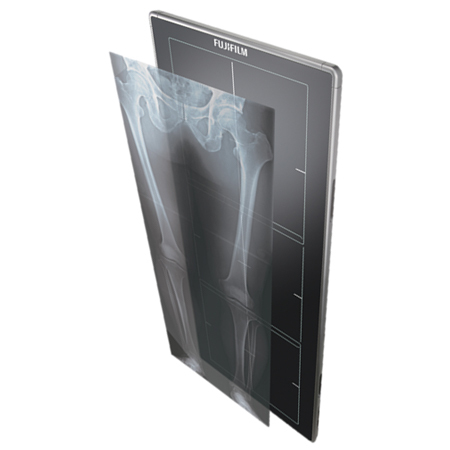 How will Fujifilm support healthcare providers’ transition from computed radiography (CR) to digital radiography (DR)? We will help you assess your institution’s needs to determine the best paths to meet your financial, clinical and workflow goals. Our industry-leading products and customized pricing solutions offer exclusive ways to achieve your budgetary objectives when transitioning to DR. Inventory your assets and identify your analog and CR equipment. Assess the volume of X-ray procedures performed on equipment affected by the reimbursement reductions to calculate the financial impact to your institution. 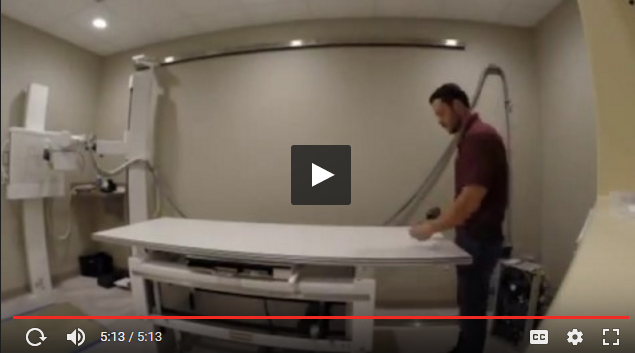 Develop and execute an asset plan that converts your analog and CR X-ray systems to digital. At this time, there are no tax incentives for the purchase of new digital radiography equipment. 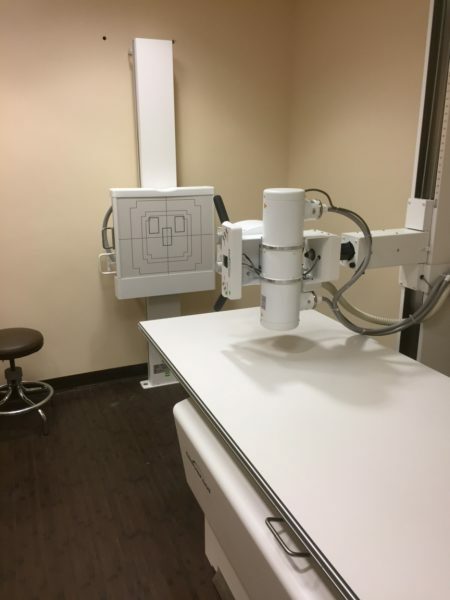 The CMS install team just wrapped up an installation at a new Imaging Center in Montgomery County, Maryland. 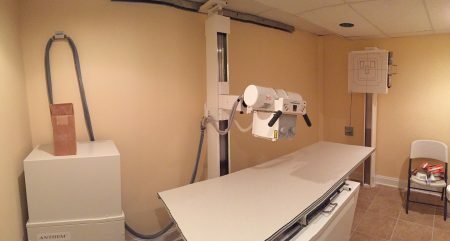 We just finished installing a Del Medical X-Ray system with Fuji DEVO wireless DR system. CMS install team just wrapped up another project. 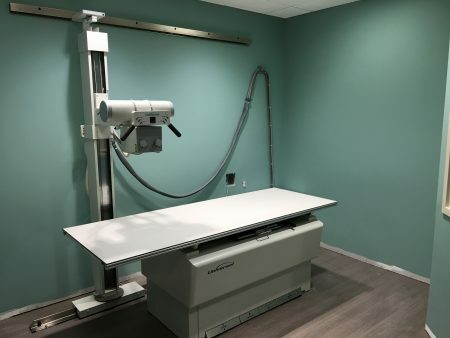 We transformed a bank vault to an X-Ray suite, the patients at this urgent care in Deptford Township, NJ will never know they’re in an old vault. We installed a Universal Anthem system with Konica-Minolta Image Pilot CR. – Award recognizes Agfa HealthCare’s “dedication to facilitating quality outcomes and improved productivity”. – Frost & Sullivan highlights the gold-standard MUSICA image processing as offering “enhanced value for customers”. – MUSICA will be a centerpiece of Agfa HealtCare’s presence at the Association for Medical Imaging Management (AHRA) annual meeting in August 2016. CMS just wrapped up another successful installation. 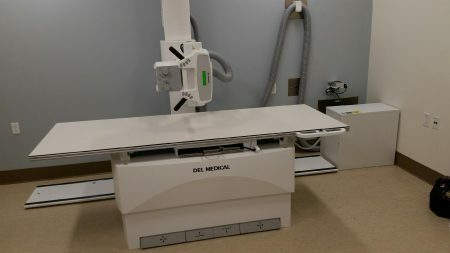 Del Medical DFMTS system with EV-800 table, VS-300 wallstand, DFMTS tubestand, CPI 65kW H/F generator, LED collimator with Rayence Cesium DR panels.